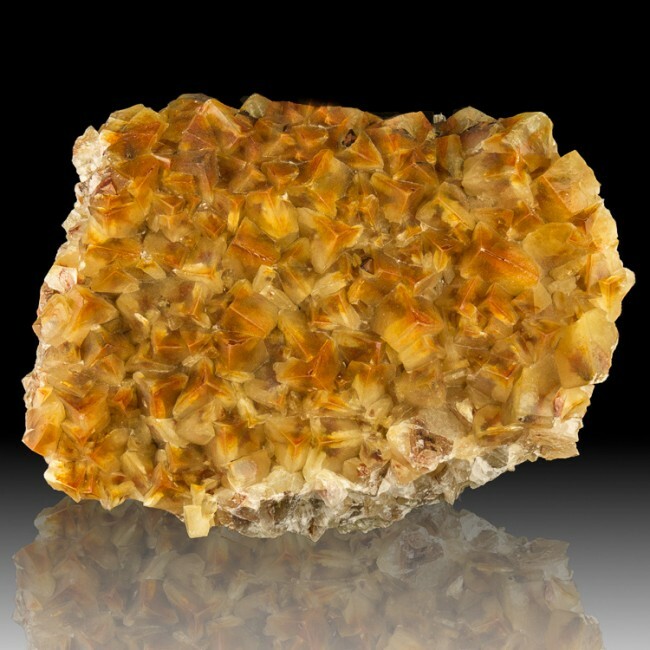 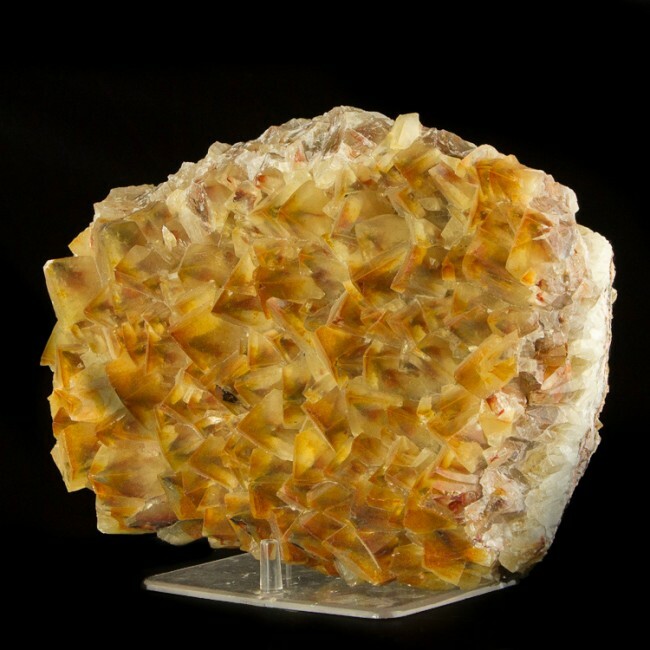 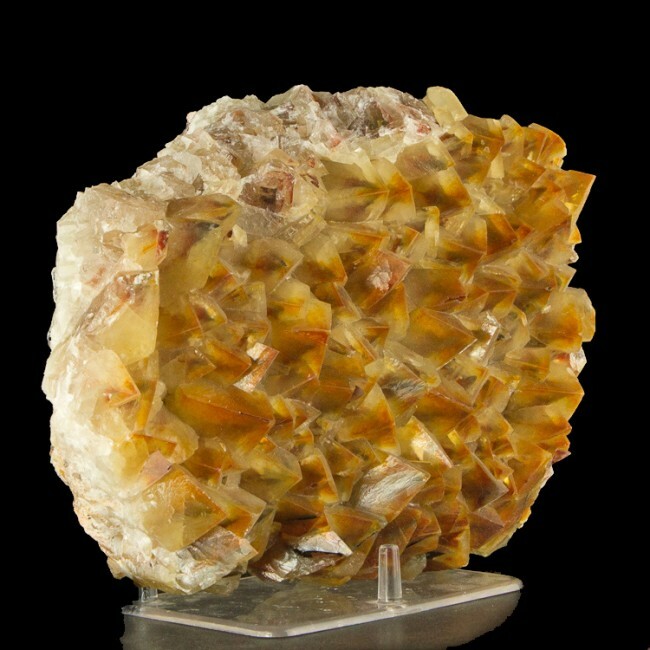 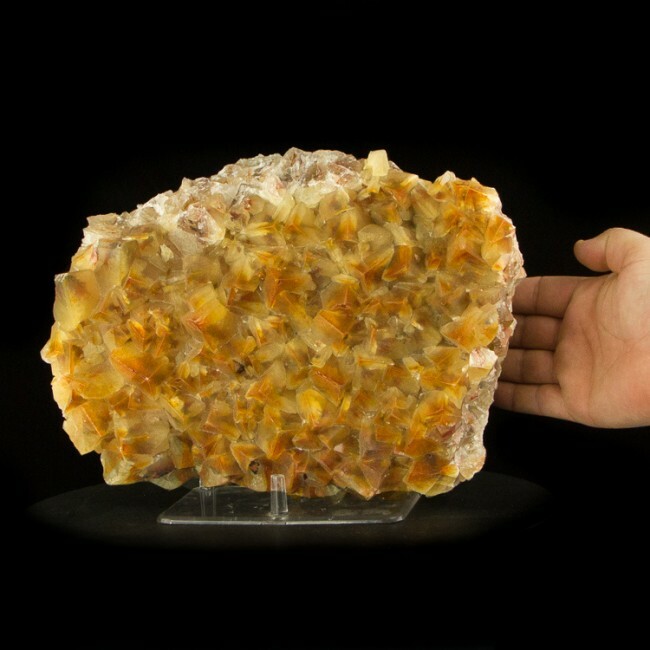 Size 11.9" x 6.0" x 3.5"
The large dogtooth (scalenohedral) crystals on this extra large specimen are a lovely red-orange color, but are clear enough that you can easily see the dark brick reda phantoms inside each of the crystals. 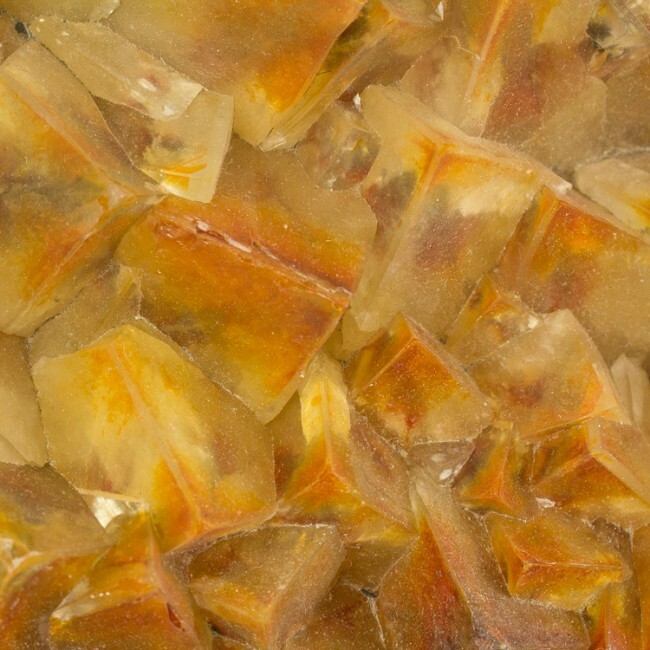 The phantoms are all sharp and terminated, and oddly enough are formed at a steeper angle than the crystals on the outside. 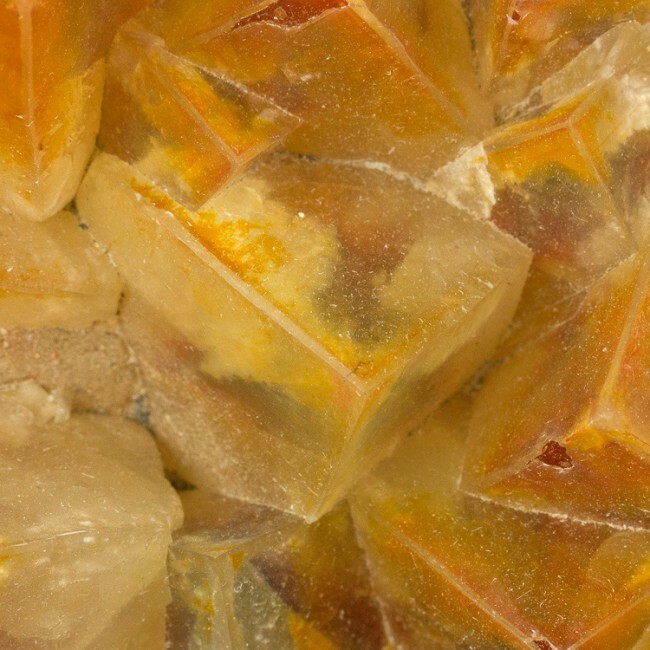 The mine that produced these is closed and flooded, so new material is not going to be available.